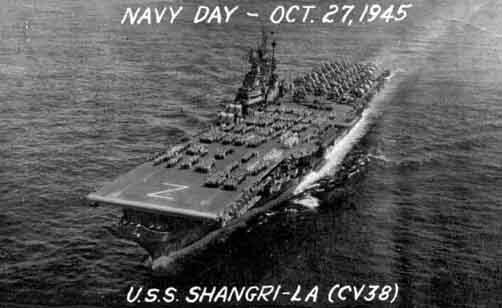 This web site is dedicated to all those who served aboard the aircraft carrier U.S.S. SHANGRI-LA. 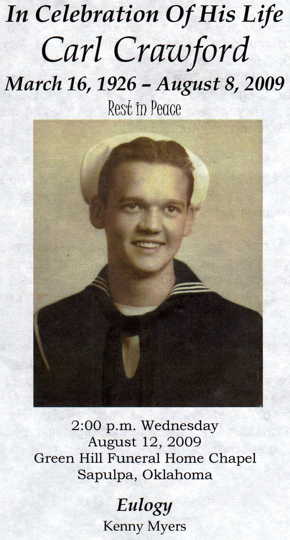 Our primary emphasis is in the ship's early activities (mid-1940's) when my dad, Carl E. Crawford, served aboard ship in World War II. 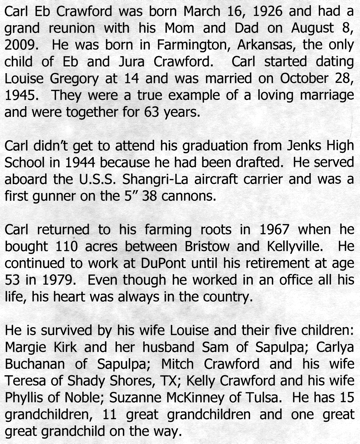 Dad passed away on August 8, 2009. We will miss him greatly. 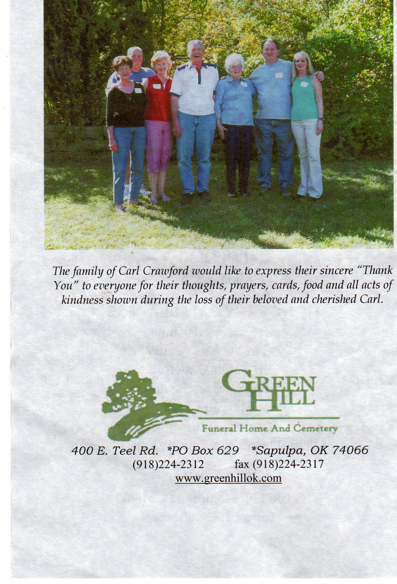 I've added the obituary (acutally the funeral service pages) to the site. Click on the following links to see them. We love you Dad! You are our hero. I recently received a gem from Michael Cassera about the U.S.S. SHANGRI-LA's work on the Bikini Atoll nuclear tests. You can access it by clicking here. Thanks Michael! We currently have three of the log books from the U.S.S. SHANGRI-LA on this web site. My dad furnished the 44/45 log, John Zollo furnished the 45/46 log, and Bob Ketenheim and Carla Cox furnished the 1947 log. Thanks to John Zollo for this great pic! It's a postcard handed out as a souvenir on Navy Day, Oct 27, 1945. Built by Norfolk Navy. Laid down 15 Jan 1943, launched 24 Feb 1944, commissioned 15 Sept 1944. Decommissioned 7 Nov 1947, recommissioned 10 May 1951 (at Hunter's Point, CA). Decommissioned 14 November 1952 (at Puget Sound for conversion), recommissioned 10 January 1955 (at Puget Sound with new angled deck). To CVS 30 June 1969, operated as a light attack carrier. Decommissioned 30 July 1971 (at Boston), stricken 15 July 1982, sold 1988, scrapped in Taiwan. If you have questions about anything related to the web site, please visit our Frequently Asked Questions section.